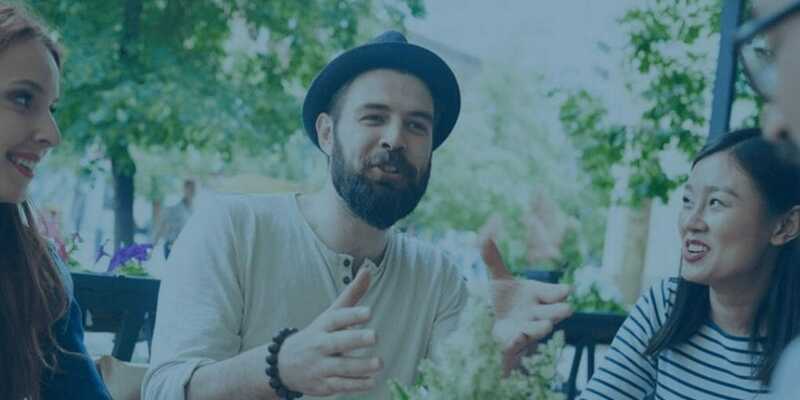 Discover what empathy-based marketing and the seven steps to take a more empathetic approach to understand customer motivation to make deeper emotional connections. You have more channels, content, and technology to reach potential customers. But connecting and building trust with buyers has never been harder. You know your audience needs what you have to offer, but your messages aren’t connecting. You’ve tried everything: expert recommendations, best practices, the latest tools, and automation. But you’ve hit a plateau, and your results are falling short. 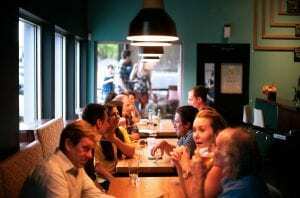 So how can you connect and convert more customers? The counter-intuitive answer: it’s empathy. You need to go beyond rational-logic based marketing to understand how your buyers feel. Damasio made this discovery: every human decision depends on emotion — every single one. We make each choice somatically. In other words, we feel each decision out. In sum, it’s about EMOTIONS. That’s why you need to understand your customer’s emotional motivators better so that you can know what buyers need to help each step of their journey. Empathy is more than a “soft” skill. It’s an incredibly powerful tool to understand customer motivation and get better results. That’s why you need to understand your customer’s emotional triggers better so that you can know what buyers need to help each step of their journey. Sounds simple, but unfortunately it’s not. End the frustration of building one campaign after another hoping something – anything – will work. You can stop that hamster wheel feeling working harder and getting nowhere. Empathy-based marketing is about walking in your customer’s shoes to understand their experience and how we can better help them get what they want. You don’t want to think like the customer. You want to BE the customer. 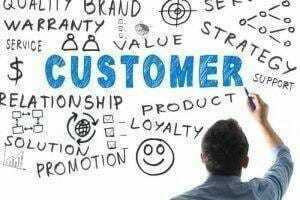 You need to move away from marketing-centric thinking to customer-centric thinking and speak to your customer’s motivations and from their perspective. Provide your customers what they want by understanding what motivates them. 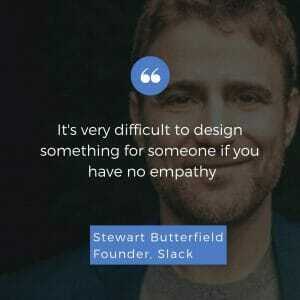 For example, Slack (currently the fastest growing start-up in history) practices empathy in their marketing and empathy is part of their core values. Additionally, IBM is gearing up to become the world’s largest design company. 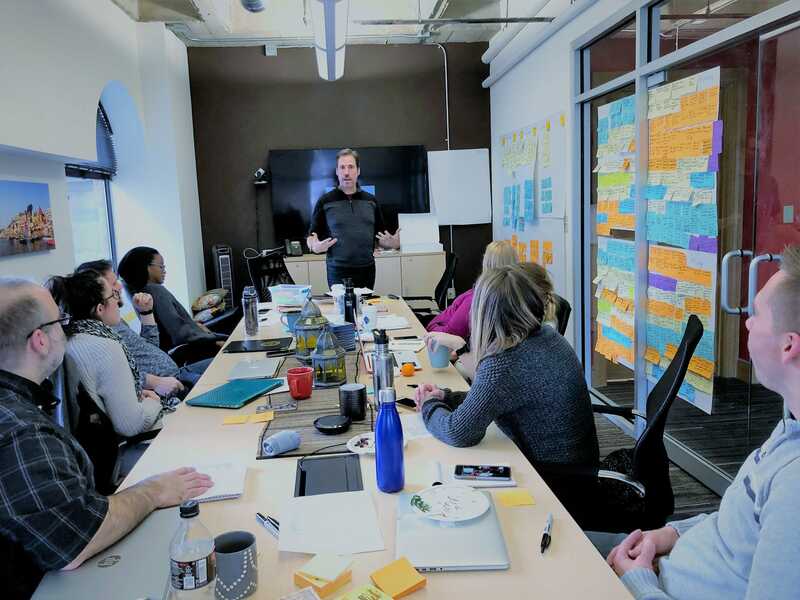 As part of their boot camps, employees are learning how to apply empathy to connect better with colleagues and clients. They’re learning how to tap into their customers’ and colleagues’ feelings and need to come up with better solutions. We’ve studied the most successful customer-centric and empathetic companies and marketers to discover what’s helping them connect with customers. 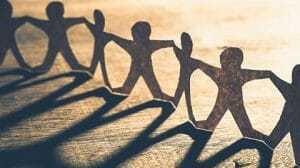 Here are seven ways you can apply customer empathy to your marketing and sales. Your customers aren’t saying, “We need solutions.” Instead, they’re saying, “We need to solve a problem.” So what would happen if you focused on helping them do just that? I’ve learned you can’t answer “how can I help” unless you know precisely what your customers want. Instead of trying to sound appealing to people, be interested in them. Understand your customer’s motivation (what they want) and make sure it’s something you can deliver. So much of what we see today are product-centric claims aimed at impressing the prospect. The root word of emotion and motivate is the same. Buyers base most of their actions on feelings and then backfill with logic. That’s why it’s so important to get beyond the product to and speak to the results and the emotions the buyer seeks. Most people don’t listen with the intent to understand – they listen with the intent to reply. Listen with the third ear which means you want to understand the implied assumptions and motivations behind what a person is saying. That’s empathetic listening. And’s it’s deeper level than active listening. Empathetic understanding is not the product of survey data. Too many marketers rely on survey data or focus groups to tell them how customer’s think and feel, but that’s not enough. It is critical to know what customers want and what motivates them to think about the client’s experience. Once you do this, you can use your applied empathy to consciously and intuitively understand and see the world from their perspective. It helps you intuitively interpret the context and understand the pressures the facing your customer. The key to understanding another person is empathetic listening – trying to understand everything (including the nonverbal signals) the other person is communicating. What’s emotions are motivating them? You hear for feeling, for meaning, for behavior and other signs. Focus on developing conversations, not marketing campaigns. Don’t err on the side of pushing your agenda rather than extending an invitation to talk to converse. Do this: invite, listen, converse and recommend/help. My point? You need to demonstrate that you’re interested in their world as a fellow human and their motivations. Use empathy maps and personas to understand your customer and how to better connect with them in conversations. For more on this read Copyblogger: Empathy Maps: A Complete Guide to Crawling Inside Your Customer’s Head. I also have a free empathy map resource you can download here. Our marketing and lead nurturing are anchored on this idea. As customers, we can sense when someone’s trying to push us to do something. We know when we’re being treated as objects to convert. Also, we also recognize when someone sincerely cares. They’re not trying to push their agenda, and they’re genuinely trying to help us. Is this you want a friend or loved one to be treated? This content organically emerges from the first four points of placing the customer first, understanding them, conversing with them and helping them. But so much of today’s content does not do that. Much of the content I see lacks that empathetic context and content without empathy is just noise. And it’s become very noisy in B2B sales and marketing. It seems we’ve become publishing machines, creating content for content’s sake. A friend of mine said the enemy of content marketing is content marketing. Think about it. Our customers don’t need more content. They need useful customer-centric content that helps them and their colleagues to choose a different path along their journey. You’re helping people change. Finally, I rarely hear customers use the word content. They call our content based on its utility and how they feel about it; terrific ebook, helpful blog post, useful white paper, fantastic article, excellent video, etc. See what I mean? Empower those closest to your customer (your sales team, sales development reps, inside sales, and customer service people) to be able to achieve the points above. We formulate our opinions about companies based on our interactions with their people. 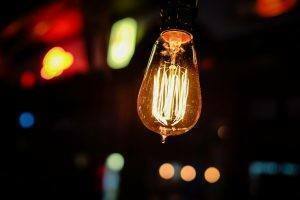 When you give people what they value or find useful without expecting anything in return, you build a connection and eventually trust. It’s an open secret. Try it. Be the change you want to see. Show others by practicing empathy yourself. This idea requires different thinking to drive a different way of doing. Who needs empathy? Yes, your customers, but also your team, and your co-workers inside your company. I learned that it’s futile to try to make changes outside before we first make changes inside. To make a difference outside our walls, we need to focus inside first. That starts with us. Why? Scientists have proven that emotions are contagious and can be caught just like a cold. I’ve seen companies that are a mess inside try to make a difference outside. And if it works, it’s only temporary. I wanted to share a practical empathy example with email because all of us are sending emails right now. Here’s a case from an A/B test conducted by MarketingExperiments. It’s an email sent to potential customers who began a form completion but did not complete it. Note the difference in tone: control versus treatment. The email on the left was “sales speak.” The tone of the email on the right was changed to be more empathetic and yielded a conversion rate of 7% versus 1.5% for the control email. What’s the bottom line? By just addressing the customer’s anxiety (with empathy) in the tone of the email, they saw a 349% increase in total lead inquiries. I know this may seem touchy-feely, but it’s not. It has an economic benefit. If we can emotionally connect and give customers what they want, we can create a lasting competitive advantage that will reap more sales, more ROI and revenue. It starts with your empathy to get out of the mindset being company-centric (how do I get what I want) to become customer-centric (how do I help them get what they want). The best marketing and selling feels like helping (because it is).